The UNC Eshelman School of Pharmacy Continuing Education (CE) Office provides accredited professional educational activities for pharmacists and pharmacy technicians. This is done through many accredited and cosponsored programs, both in live and home study formats. We offer local, regional,, and a limited number of national seminars, workshops, certificate programs, and residency programs to advance pharmaceutical care, knowledge, and skills. The CE Office offers many programs within the UNC Eshselman School of Pharmacy, UNC Health Care network, and predominantly partners with North Carolina’s nine regional Area Health Education Centers (AHECs) and the North Carolina Association of Pharmacists (NCAP) to assist the state’s pharmacists in advancing their education, skills, and practices. Sixty-day submission rule enabled May 1, 2014: Providers have 60 days post the CPE activity participation date to upload the participant credit into CPE Monitor. To date this functionality was disabled until providers and learners may get used to using the CPE Monitor service. Since all providers are using the CPE Monitor system, ACPE will enable the 60-day submission rule May 1, 2014. Many of you have already established your workflow systems to accommodate this rule. What does this mean? For Live CPE Activities: The provider must upload the participant information 60 days from the date the participant completed the CPE activity. This date must be identical to the live date listed in the CPE activity in the ACPE Provider Web Tool. For Home Study CPE Activities: The provider must upload the participant information 60 days from the date the participant completed the CPE activity. The date of participation must be between the initial release date and the expiration date of the Home Study CPE activity that is listed in the ACPE Provider Web Tool. If the participant completes the enduring (home study) activity on the date of expiration, the provider will have 60 days post-expiration date to upload the participant information. CPE Activities Credit: Once the participant's information is entered, credit will be uploaded to CPE Monitor. You (the participant) are responsible to check and verify your credit appears on CPE Monitor within 60 day of the program date. If you need to print out a certificate CLICK on View/Print CE Credit. Updates on North Carolina Pharmacy - 2019 (Online) 04/18/2019 2.00 N.A. Pharmacy Preceptors Exploring New Frontier: How to Enhance Your Research Productivity 04/16/2019 1.00 N.A. Pharmacy Student Research Platform Presentations 04/16/2019 1.50 N.A. No Gout About It 04/16/2019 1.00 N.A. Aftershock: The Ripple Effects of Violence 04/16/2019 5.25 N.A. UNC Pharm Resident CE Series April 11, 2019 04/11/2019 3.00 N.A. The 18th Annual Key Issues in Trauma Management Conference 04/09/2019 7.00 N.A. S.P.I.C.E: Infection Control for Outpatient Healthcare Settings 04/05/2019 6.00 N.A. 2nd Annual Cone Health Spring Melanoma Seminar 04/05/2019 6.25 N.A. Down East Dermatology Day 04/05/2019 6.50 N.A. 2nd Annual North Carolina Adolescent and Young Adult Oncology Symposium 04/05/2019 5.75 N.A. Treating Pain Safely: Fewer Opioids and Better Results Controlled Substances Education for Prescribers 04/04/2019 3.00 N.A. Immunotherapy: A Focus On Checkpoint Inhibitors 04/04/2019 1.00 N.A. Updates on North Carolina Pharmacy - 2019 (Chapel Hill, NC or Online) 04/03/2019 2.00 N.A. Annual Kim Thomas Renal Transplant Symposium 04/02/2019 4.50 N.A. What's in a gene? Updates in Pharmacogenomic Testing in Behavioral Health 04/02/2019 1.00 N.A. Sandhills Area Residency Group Presentations 04/01/2019 3.00 N.A. Immunization Update 2019 and the High's on; Blood pressure, Cholesterol and Blood Glucose! 03/29/2019 4.00 N.A. Pharmacy Law Update 2019 03/28/2019 2.00 N.A. Sickle Cell Conference 03/28/2019 4.50 N.A. Immunological Mechanisms in Pancreatic Cancer 03/27/2019 1.00 N.A. Current Trends in Alcohol and Substance Misuse, plus the Dangers of E-Cigarettes 03/27/2019 6.00 N.A. UNC Pharm Resident CE Series Mar 21, 2019 03/21/2019 3.00 N.A. Multidrug Resistant Gram-Negative Infections: Treatment Update 03/20/2019 1.00 N.A. Medication Safety 03/20/2019 1.00 N.A. 2019 North Carolina Annual STD Update 03/20/2019 5.25 N.A. Undoing the Damage: A Review of Anticoagulant Reversal Agents 03/19/2019 1.00 N.A. Pediatric Primer 03/19/2019 7.50 N.A. Diabetes Management and Foot Care Conference 03/16/2019 5.00 N.A. Pharmacy Law Update 03/14/2019 2.00 N.A. Patient Safety Symposium 03/14/2019 5.50 N.A. Practical Applications of Insulin Pumps and Continuous Glucose Monitoring (CGM) Systems 03/13/2019 1.00 N.A. Compounding for Animals: The Essentials 03/12/2019 1.00 N.A. Disease State Review: Glaucoma 03/12/2019 1.00 N.A. Drivers and Determinants of Health: Understanding Health Equity 03/12/2019 4.00 N.A. Beyond the Opioid Epidemic: Putting Guidelines into Practice 03/12/2019 2.00 N.A. Opiate Prescribing Challenges & Alternatives for Chronic Pain Management 03/12/2019 3.00 N.A. Cardiovascular Care Symposium 2019 03/09/2019 5.25 N.A. 2019 Geriatric Conference: Best Practices for Healthy Aging 03/08/2019 6.00 N.A. Triple Therapy: Triple Threat? 03/07/2019 1.00 N.A. Enhanced Recovery After Surgery: A Focus on Opioid-Sparing Analgesia 03/07/2019 1.00 N.A. Acute Myeloid Leukemia 03/05/2019 1.00 N.A. UNC Pharm Resident CE Series Feb 28, 2019 02/28/2019 3.00 N.A. NCAP Chronic Care & Health-Systems Conference 02/28/2019 24.50 N.A. Key 2018/2019 Developments in Lymphoma and Thrombosis/Anticoagulation 02/27/2019 1.00 N.A. Why So Sad? An Update on Antidepressants to Cheer You Up! 02/26/2019 1.00 N.A. Type 2 Diabetes: An Update on Cardiovascular Outcomes in Diabetes Medications 02/26/2019 1.00 N.A. How Can You Mend a Broken Heart: Updates on Heart Failure Therapies 02/22/2019 1.00 N.A. BUILDING CAPACITY to Manage Mental Health and the Opioid Crisis in the FOOTHILLS 02/22/2019 7.25 N.A. 12th Annual Cone Health Heart and Vascular Symposium: Advancing Cardiovascular Care Translation & Team Reinvention 02/22/2019 6.75 N.A. Women's Health Conference 02/22/2019 1.00 N.A. To Renew or Not to Renew, that is the question: A look at polypharmacy and deprescribing practices. 02/20/2019 1.00 N.A. When Less is More: A Review of Deprescribing Recommendations and Practices 02/19/2019 1.00 N.A. DeLIVERing Expert Care: Optimizing Pharmacist Management of Hepatitis C 02/13/2019 1.00 N.A. Direct-acting oral anticoagulants: special populations and clinical controversies 02/13/2019 1.00 N.A. Safety Considerations When Managing Dietary Supplements in Cancer Care 02/13/2019 1.00 N.A. Congestive Heart Failure- What's Next? 02/12/2019 2.00 N.A. Lipid Management in the Statin Intolerant 02/12/2019 1.00 N.A. UNC Pharm Resident CE Series Feb 7, 2019 02/07/2019 3.00 N.A. Acute Management of Hemophilia: Heostatic and Antithrombotic Agent Stewardship 02/06/2019 1.00 N.A. Triple Therapy in ACS and Antiplatelet Updates in Stroke 02/05/2019 1.00 N.A. Atrial Fibrillation (AFib) and Heart Failure 01/31/2019 2.00 N.A. Cannabinoids: An Overview, The Endogenous System, and Current and Future Therapeutic Options 01/30/2019 1.00 N.A. Is This the Drug for Your Bug? : An Update on Fluoroquinolones 01/29/2019 1.00 N.A. Managing Pain in the Age of the Opioid Crisis 01/26/2019 4.25 N.A. New Drugs and Pharmacy Law Update 01/25/2019 3.00 N.A. Everyday Emergencies 01/25/2019 7.50 N.A. The Role of Thiamine, Vitamin C and Hydrocortisone in the Management of Septic Shock 01/24/2019 1.00 N.A. Don't Sugar Coat It-Diabetes Goals, Management, and Prevention-Vidant Pharmacy Residents Program 01/24/2019 5.00 N.A. 2018 American Diabetes Association (ADA) Guidelines Update 01/22/2019 2.00 N.A. The Clot Thickens: Anticoagulation Reversal Update 01/22/2019 1.00 N.A. UNC Pharm Resident CE Series Jan 17, 2019 01/17/2019 3.00 N.A. IACP Educational Conference 2019 01/17/2019 - 01/19/2019 12.00 N.A. Roid Rage - Steroids in Severe Community Acquired Pneumonia 01/16/2019 1.00 N.A. Bivalirudin versus Unfractionated Heparin in Percutaneous Coronary Intervention 01/16/2019 1.00 N.A. Dual Antiplatelet in Secondary Prevention of Minor Acute Ischemic Stroke and High-Risk Transient Ischemic Attack 01/16/2019 1.00 N.A. Emergency Preparedness: Pharmacy's Role When Disaster Strikes 01/15/2019 1.00 N.A. Ambulatory Care Pharmacy Forum of NC Annual Meeting 01/11/2019 4.00 N.A. CHAMP Mentorship Program 01/11/2019 5.50 N.A. Don't Go Breaking My Heart: Chemotherapy-Induced Cardiotoxicity in the Era of Cardio-Oncology 01/10/2019 1.00 N.A. Rural Health Symposium 01/10/2019 11.75 N.A. Disparities in Breast Cancer: A Biology, Health Services and Solutions Story 01/09/2019 1.00 N.A. Spanish for the Clinician 01/08/2019 3.50 N.A. CHFN Exam Review Course 01/07/2019 8.00 N.A. Schizophrenia: Presentation and Treatment 12/19/2018 1.00 N.A. Review of Shingles Vaccines and Recommendations 12/18/2018 1.00 N.A. Cephalosporin Drug Allergies and Cross-Sensitivities 12/17/2018 1.00 N.A. Procrastinator's Marathon 2018 for Pharmacists and Pharmacy Technicians 12/16/2018 5.00 N.A. 10th Annual A Day of Critical Care Symposium 12/14/2018 5.50 N.A. UNC Pharm Resident CE Series Dec 13, 2018 12/13/2018 3.00 N.A. Death Investigation: Fitting the Pieces of the Puzzle 12/12/2018 7.50 N.A. Antiplatelet and Anticoagulant Therapy for Peripheral Artery Disease 12/11/2018 1.00 N.A. Year-End Pharmacist Update #2- 2018 12/08/2018 3.00 N.A. 16th Annual Hepatology Symposium 12/08/2018 5.50 N.A. New Drugs and Pharmacy Law 12/07/2018 6.00 N.A. Geriatrics Symposium 12/07/2018 7.00 N.A. Trauma Informed - Resilience Focused 12/05/2018 5.50 N.A. 2018 Military Women's Health Symposium 12/05/2018 7.00 N.A. Chemo-101: What Any Pharmacist Needs To Know About Chemotherapy and Opportunities To Assist In Patient Care 12/04/2018 2.00 N.A. C. Diff Colitis IDSA/SHEA Guidelines 12/03/2018 1.00 N.A. Health Law and Ethics Update 2018: Year in Review 11/30/2018 6.00 N.A. UNC Pharm Resident CE Series Nov 29, 2018 11/29/2018 3.00 N.A. Dosing Adjustments Considerations in Patients with High Body Weight 11/29/2018 1.00 N.A. Chronic Pain Management Strategies 11/21/2018 1.00 N.A. Pediatric Asthma: Breathe Easy, No Adults Allowed 11/20/2018 1.00 N.A. 2nd Annual Dr. Suzanne Landis Geriatric Summit 11/16/2018 7.50 N.A. Updates in Pharmacotherapy 11/14/2018 1.00 N.A. DLP, Wilson Medical Center Symposium 11/14/2018 12.00 N.A. PCSK9 Inhibitors: A Game-Changing Therapy in Hypercholesteremia Management with an Access Dilemma 11/13/2018 1.00 N.A. The 21st Annual Procrastinator's Marathon: Hot Topic Clinical Updates 11/12/2018 6.00 N.A. Immunization Update 2018 for Pharmacists and Pharmacy Technicians 11/11/2018 3.00 N.A. 2018 Epilepsy Symposium - A Comprehensive Approach to Seizure Management 11/10/2018 5.00 N.A. Is Your Practice Safe? An OSHA Update 11/09/2018 3.00 N.A. 2018 Research, Evidence-Based Practice and Quality Symposium; Managing Crisis in Healthcare: Today and in the Future 11/09/2018 5.50 N.A. UNC Pharm Resident CE Series Nov 8, 2018 11/08/2018 3.00 N.A. 2018 PAIN CONFERENCE: An Interprofessional Approach to Pain Management 11/08/2018 11.00 N.A. Caring for Two: Supporting Mothers and Babies Affected by Neonatal Abstinence Syndrome 11/07/2018 5.50 N.A. Significant Papers 2018 11/06/2018 2.50 N.A. Kick Narcotics to the Curb: Non-Opioid Alternatives for Acute Pain Management in the Emergency Department 11/06/2018 1.00 N.A. Adult Physical Assessment Workshop For Healthcare Professionals 11/05/2018 12.00 N.A. Thirteenth Annual Time is Brain: Advances in Stroke Care 11/03/2018 5.50 N.A. Lung Cancer Symposium 11/02/2018 6.75 N.A. Substance Use Disorders: Fresh Perspectives Conference 11/02/2018 7.50 N.A. 2018 Alumni Weekend 11/02/2018 2.00 N.A. Preceptor Recognition and Continuing Education Dinner 11/01/2018 1.50 N.A. The Pharmacist's Role in Medication Assisted Treatment for Opioid Use Disorders 10/31/2018 1.00 N.A. Treating Pain Safely: Fewer Opioids and Better Results Controlled Substances Education for Prescribers 10/30/2018 3.00 N.A. Strategies to Flourish in Today's Workplace 10/30/2018 1.00 N.A. Cardiovascular Symposium 2018: Failing Hearts, Fulfilling Lives 10/30/2018 8.00 N.A. Evidence- Based Narcotic Prescribing 10/30/2018 2.00 N.A. 10th Annual Coping with Cancer: Cancer Pain Management During the Opioid Epidemic 10/27/2018 5.25 N.A. From Contemplation to Action: Best Practices for Treating Pain 10/27/2018 3.00 N.A. The 2nd Annual Path to Becoming a Successful Preceptor 10/26/2018 7.50 N.A. Raab Multidisciplinary Cancer Symposium: Melanoma--Surgery, Immunotherapy and Beyond 10/26/2018 6.50 N.A. UNC Pharm Resident CE Series Oct 25, 2018 10/25/2018 3.00 N.A. Oncology Grand Round CE - 10/25/18 10/25/2018 1.00 N.A. A Review of Women's Health Issues 10/24/2018 1.00 N.A. Long-Term Survival After Cancer: The New Normal 10/24/2018 6.00 N.A. Medicare and Part D: Now and Later (In Class or Online) (P/T) 10/23/2018 2.00 N.A. Preceptor Development: Rotational Design and Layered Learning 10/23/2018 1.00 N.A. Oncology Grand Round CE 10/18/2018 1.00 N.A. Lean Six Sigma - Purple Belt Training Day 2 10/18/2018 21.00 N.A. Pulmonary Sarcoidosis and the Pharmacist 10/17/2018 1.00 N.A. Intraventricular Hemorrhage in the Neonatal Population 10/16/2018 1.00 N.A. Fall Symposium for Pharmacists and Pharmacy Technicians 10/14/2018 5.00 N.A. Diabetes Update 10/12/2018 6.00 N.A. 30th Annual Developments in Internal Medicine 10/11/2018 - 10/13/2018 18.75 N.A. Building a QA/QC Program in Your Pharmacy 10/10/2018 1.00 N.A. Pediatric Acute Care Conference 10/09/2018 8.50 N.A. Management of MRSA Infections in Adults 10/08/2018 1.00 N.A. Integrative Medicine: Non-Pharmacological Approaches to Chronic Pain 10/05/2018 5.50 N.A. 4th Annual WNC Rural Health Symposium: Challenges, Successes and Strategies 10/04/2018 13.50 N.A. Lean Six Sigma - Blue Belt Training 10/04/2018 21.00 N.A. New Drug Update 2018 - A Formulary Approach 10/02/2018 2.00 N.A. CAR T-Cell Therapy Overview and Toxicity Management 10/02/2018 1.00 N.A. Trauma-Informed Care: Enhancing Treatment and Organizational Health by Implementing a Trauma-Informed Care Framework 10/02/2018 6.00 N.A. Cardiovascular Team Section Seminar 09/28/2018 3.00 N.A. HIPAA Update: Strategies for Compliance Success 09/28/2018 3.00 N.A. 33rd Annual Mid-Atlantic Area Society for Parenteral & Enteral Nutrition (MASPEN) Conference 09/28/2018 6.00 N.A. ASCO 2018 Oncology and Malignant Hematology Review Conference 09/28/2018 7.00 N.A. UNC Pharm Resident CE Series Sept 27, 2018 09/27/2018 3.00 N.A. Updates to Lung Cancer 09/27/2018 2.50 N.A. A Positive Future: Novel Treatment Options for Multidrug Resistant Gram-Negative Organisms 09/27/2018 1.00 N.A. Pediatric Attention Deficiency Hyperactivity Disorder in Primary Care 09/26/2018 1.00 N.A. 5th Annual Carolinas Integrative Health Summit 09/26/2018 6.25 N.A. Patient Safety: Our Role as One Pharmacy Community 09/25/2018 2.00 N.A. 2018 Annual NCAP Convention 09/21/2018 21.75 N.A. Foul Bowel: Updates in the Treatment of Clostridium Difficile Infection 09/18/2018 1.00 N.A. Is the Fire Going Out: Burnout Within the Pharmacy Profession 09/11/2018 1.00 N.A. Ethics and Domestic Violence 09/11/2018 6.00 N.A. UNC Pharm Resident CE Series Sept 6, 2018 09/06/2018 3.00 N.A. Pharmacy-Based Immunization Updates 2018 09/06/2018 3.00 N.A. The Pharmacy Technician's Role in Patient Safety - What You Can Do Now To Help Prevent Patient Injury (Live Webinar) (P/T) 09/05/2018 1.00 N.A. Cardiovascular Outcomes in Type 2 Diabetes Management - A Change of Heart 09/04/2018 1.00 N.A. Diabetes and Obesity/Weight Loss Management: A Provider Update 08/28/2018 2.00 N.A. Getting ready for 800: Hazardous chemical labeling, Proper use of PPE, overlap between OSHA and 800 (Live Webinar) (P/T) 08/22/2018 1.00 N.A. Update on THN Pharmacy 08/21/2018 1.00 N.A. Nutrition Support 08/15/2018 1.00 N.A. Pharmacy-Based Immunization Updates 2018 08/12/2018 3.00 N.A. Sweet on Tech? Technology Updates in Diabetes Care 08/07/2018 1.00 N.A. Heart Failure Management 2018: Precision Medicine to Personalize Care 07/19/2018 - 07/22/2018 19.75 N.A. 2018 AAE Annual Conference (P) 07/19/2018 - 07/22/2018 0.00 N.A. Management of Thyroid Disorder 07/18/2018 1.00 N.A. 9th Annual Asthma, Allergy and Pulmonary Update 07/13/2018 8.00 N.A. Let’s Get Serious About Nutrition! - Live Webinar (P/T) 06/27/2018 1.00 N.A. Compounders on Capitol Hill 06/23/2018 - 06/26/2018 9.00 N.A. Pharmacy Law Update 06/21/2018 1.00 N.A. Migraine Management 06/20/2018 1.00 N.A. Compound Your Wealth: Pharmacy Accounting and Tax Strategies - Live Webinar (P/T) 06/13/2018 1.00 N.A. Adverse Childhood Experiences (ACEs): What Are the Effects of Trauma? 06/13/2018 7.00 N.A. Getting to the Heart of Diabetes 06/06/2018 1.00 N.A. An Interdisciplinary Approach to Best Practices in Opioid Prescription Management 06/05/2018 2.00 N.A. What's so Fun(gi) about this? An update on antifungal pharmacotherapy 06/05/2018 1.00 N.A. Aligned Together to Realize, Innovate, Unite, and Motivate Antimicrobial Stewardship Programs (ATRIUM ASP) 06/05/2018 6.00 N.A. Psychiatric Pharmacology 06/01/2018 6.00 N.A. UNC Hospital Series May 31, 2018 05/31/2018 3.00 N.A. LDN - Another Piece Of The Puzzle - Live Webinar (P/T) 05/30/2018 1.00 N.A. Refractory Status Epilepticus 05/29/2018 1.00 N.A. What Can You Do When You Can't Give Blood? Jehovah's Witness and Medications Containing Human Blood Products 05/29/2018 1.00 N.A. Lean Problem Solving to Align People, Process and Pharmacy Profits - Live Webinar (P/T) 05/23/2018 1.00 N.A. Battle Strategies for the Opioid War 05/23/2018 6.00 N.A. 2018 Research in Education and Practice Symposium - Chapel Hill, NC (P) 05/21/2018 11.50 N.A. 2018 CIPhER Summer Institute in Evidence-based Teaching & Course Design 05/21/2018 - 05/24/2018 12.50 N.A. Management of opioid and alcohol use disorders: From detox to maintenance treatment 05/18/2018 2.00 N.A. Clotting, Bleeding and Aging: Risky Business 05/17/2018 2.00 N.A. Immunization Update: Who needs shingles when you have Shingrix! 05/16/2018 1.00 N.A. Eighth Annual Resident Spring Symposium 05/16/2018 2.25 N.A. Drug Dosing in Liver Disease 05/15/2018 1.00 N.A. What A Pain! Acute Pin Managment in the Opioid Tolerant Patient 05/15/2018 1.00 N.A. DOAC or Don’t Act: Anticoagulation in special cercumstances including valvular artial fibrillation 05/15/2018 1.00 N.A. HOPS CE Series - Melanoma 05/14/2018 1.00 N.A. UNC Hospital Series May 10, 2018 05/10/2018 2.00 N.A. Social Media Opportunities to Build Your Pharmacy’s Brand - Live Webinar (P/T) 05/09/2018 1.00 N.A. HIV Care 2018: Clinical Update and Vulnerable Populations 05/07/2018 6.25 N.A. OSCE-ology Workshop: A primer on performance-based teaching, learning and assessment in pharmacy 05/07/2018 12.00 N.A. Emerging Therapies for the Management of Recurrent Clostridium difficile: What's the Scoop? 05/02/2018 1.00 N.A. Double Trouble: Dual Antiretroviral Therapy for HIV 05/01/2018 1.00 N.A. Developing Culturally Competent Treatment with Racially and Ethnically Diverse Clients 05/01/2018 6.00 N.A. Updates in Geriatrics for Pharmacists and Pharmacy Technicians 04/29/2018 5.00 N.A. The Medipreneurs Summit 2018 04/28/2018 8.75 N.A. The Jon B. Tingelstad Conference: Practical Pediatrics Day 2 04/27/2018 7.25 N.A. 11th Annual Cone Health Heart and Vascular Symposium - Reaching the Quadruple Aim: Transformation of Practice, Teams & Technology 04/27/2018 6.25 N.A. The Inaugural North Carolina Adolescent and Young Adult Oncology Symposium 04/27/2018 6.00 N.A. 20th Annual Diabetes Management Conference: Two Decades of Advancing Diabetes Care All Hands on Deck 04/27/2018 7.00 N.A. Pharmacy Law Update 2018 04/26/2018 2.00 N.A. UNC Hospital Series April 26, 2018 04/26/2018 2.00 N.A. An Interdisciplinary Approach to Best Practices in Opioid Prescription Management 04/26/2018 3.00 N.A. Nephrotoxicity of Concomitant Vancomycin and Piperacillin/tazobactam: Time to Change Practice? 04/24/2018 1.00 N.A. Pharmacy Student Research Platform Presentations 04/24/2018 1.00 N.A. Coming Up for Air: Preventing Preceptor Burnout 04/24/2018 1.00 N.A. Delivering Medication Therapy Management (MTM) Services Certificate Program 04/22/2018 18.00 N.A. A Day with Teepa Snow 04/20/2018 5.75 N.A. Being Resilient and Renewing Your Purpose in Healthcare 04/20/2018 6.00 N.A. Medications and Older Adults 04/20/2018 6.75 N.A. Periprocedural Bridging in Patients with Non-valvular Atrial Fibrillation 04/18/2018 1.00 N.A. Venous Thromboembolism Management in Patients with Cancer: A Coagulation Conundrum 04/17/2018 1.00 N.A. Opioid Use in Pregnancy: 2018 and Beyond 04/13/2018 5.75 N.A. The Billy E. Jones 31st Annual Down-East Dermatology Day 04/13/2018 7.00 N.A. 30th Annual Diabetes Conference:Celebrating the Pearl Anniversary with Diabetes Treatment Pearls! 04/13/2018 6.00 N.A. Updates on North Carolina Pharmacy - 2018 04/12/2018 2.00 N.A. Sandhills Area Residency Group Presentations 04/10/2018 1.00 N.A. The 17th Annual Key Issues in Trauma Management Conference 04/10/2018 7.00 N.A. HOPS CE Series - Prostate Cancer 04/09/2018 1.00 N.A. UNC Hospital Series April 5, 2018 04/05/2018 3.00 N.A. Updates on North Carolina Pharmacy - 2018 04/04/2018 2.00 N.A. Reversal Strategies for Oral Anticoagulants 04/04/2018 1.00 N.A. Taking Care of You So You Can Better Take Care of Others! 'The Mind, Body, and Spirit Balance' 04/04/2018 5.75 N.A. Resident Pharmacotherapy Symposium Series:Managing Acute Anemia in Jehovah's Witnesses 03/29/2018 1.00 N.A. Antimicrobial Therapy in Respiratory Infections 03/28/2018 1.00 N.A. Pharmacy Student Research Platform Presentations 03/27/2018 1.00 N.A. Triple Therapy in Atrial Fibrillation Patients Undergoing PCI: The Clot Thickens 03/27/2018 1.00 N.A. Advanced Care Planning 03/27/2018 4.50 N.A. HOPS CE Series - Small Cell Lung Cancer 03/26/2018 1.00 N.A. Pain, Addiction and the Law 2018 03/24/2018 8.50 N.A. Beyond CYP450: What Clinically Significant Drug-Drug Interactions Are We Missing on a Daily Basis 03/22/2018 2.00 N.A. 2018 American Diabetes Association (ADA) Guidelines Update 03/22/2018 2.00 N.A. NCAP Chronic Care and Health-System Practice Forums Meeting 03/22/2018 15.00 N.A. The Pharmacist's Role in Osteoporosis Management 03/21/2018 1.00 N.A. 2018 North Carolina Annual STD Update 03/21/2018 5.25 N.A. A Breath of Fresh Air: A Review of the 2017 Global Initiative for Chronic Obstructive Pulmonary Disease (GOLD) Report 03/20/2018 1.00 N.A. Herbal Products and Nutraceuticals: Help or Hoax? 03/20/2018 1.00 N.A. UNC Hospital Series March 15, 2018 03/15/2018 3.00 N.A. The Battle Within: An Update on Immunotherapy in Non-Small Cell Lung Cancer 03/13/2018 1.00 N.A. HOPS CE Series - Non-Small Cell Lung Cancer 03/12/2018 1.00 N.A. Asheville Summit for Population Health 03/10/2018 4.50 N.A. Pharmacy Updates from the Crystal Coast 03/10/2018 5.00 N.A. Pharmacy Malpractice: Understanding, Mitigation and Prevention 03/09/2018 4.00 N.A. Pharmacy Law Update 2018 03/08/2018 2.00 N.A. A Conference on Nutrition 03/08/2018 4.00 N.A. Being Resilient and Renewing Your Purpose in Heathcare 03/08/2018 6.00 N.A. The Balancing Act: Managing Anticoagulation for Percutaneous Left Ventricular Assist Devices 03/07/2018 1.00 N.A. Shield of Protection- Mobilizing Community Efforts to Increase Immunization Uptake in Western North Carolina 03/06/2018 2.00 N.A. Being Positive About the Negatives - Managing Multidrug Resistant Gram Negative Organisms 03/06/2018 1.00 N.A. Clinical Controversies in the Management of Pneumonia 03/05/2018 1.00 N.A. Cardiovascular Care Symposium 2018 03/03/2018 5.25 N.A. Pharmacy-Based Immunization Delivery Certificate Program 03/03/2018 8.00 N.A. New Drugs and Pharmacy Law Update 03/02/2018 4.00 N.A. 2018 Geriatric Conference: Updates on Caring for Aging Patients 03/02/2018 6.50 N.A. Pediatric Pharmacology Update 03/02/2018 6.75 N.A. 2018 Clinical Update and Psychopharmacology Review 02/28/2018 10.00 N.A. SNPhA Regional Conference 02/24/2018 7.00 N.A. UNC Hospital Series February 22, 2018 02/22/2018 2.00 N.A. Sticking You Where It Doesn't Hurt: Immunization Update 2018 02/22/2018 1.00 N.A. COMPASSION FATIGUE & INTERPROFESSIONAL COLLABORATION 02/22/2018 2.00 N.A. Asthma Management 02/21/2018 1.00 N.A. Vitamin C Sepsis: Is the Juice Worth the Squeeze 02/21/2018 1.00 N.A. 'Extra-Extra Know all about the New Updates': Chemotherapy Medications, HIV Pharmacotherapy-30 years of Progress, and Integrative Medicine! 02/16/2018 5.50 N.A. HOPS CE Series - Non-Small Cell Lung Cancer 02/12/2018 1.00 N.A. Late Breaking Clinical Trials (session 1) 02/09/2018 1.00 N.A. Statins and Beyond: Alternative Lipid Lowering Therapies in Coronary Artery Disease 02/07/2018 1.00 N.A. Direct Acting Oral Anticoagulants (DOACs) in End-Stage Renal Disease (ESRD) 02/07/2018 1.00 N.A. The Opioid Crisis: What Can Pharmacists Do About It 02/06/2018 1.00 N.A. Staying Engaged with the Aged: A Review of Pharmacokinetics and Pharmacodynamics in the Geriatric Population 02/05/2018 1.00 N.A. Being Resilient and Renewing Your Purpose in Healthcare 02/02/2018 6.00 N.A. UNC Hospital Series February 1, 2018 02/01/2018 2.00 N.A. State and Federal Initiatives to stem the opioid public health crisis 02/01/2018 2.00 N.A. The Opioid Crisis. . . A Pharmacy Technician’s Perspective 01/31/2018 2.00 N.A. 2018 American Diabetes Association (ADA) Guidelines Update 01/30/2018 2.00 N.A. Tranexamic Acid use in trauma patients 01/24/2018 1.00 N.A. HOPS CE Series - Hodgkin Lymphoma 01/22/2018 1.00 N.A. The Ambulatory Care Pharmacy Forum of North Carolina 01/19/2018 4.00 N.A. Everyday Emergencies 01/19/2018 7.00 N.A. Simplifying an Overdose of Information: A Toxicology Review 01/16/2018 1.00 N.A. UNC Hospital Series January 11, 2018 01/11/2018 3.00 N.A. Spanish for the Clinician 01/09/2018 3.00 N.A. Multiple Myeloma: Emerging Horizons for Previously Treated Patients 01/09/2018 1.00 N.A. Identificatin and Manamgent of Graft Versus Host Disease 01/04/2018 1.00 N.A. How to avoid Diabetic Medical Errors 12/20/2017 1.00 N.A. Migraine Prophylaxis and Management 12/19/2017 1.00 N.A. Year-End Pharmacist Update #2- 2017 12/16/2017 3.00 N.A. Lithium Toxicity 12/14/2017 1.00 N.A. Respiratory Syncytial Virus Prophylaxis among Infants and Young Children 12/12/2017 1.00 N.A. Dealing with Difficult People 12/12/2017 2.80 N.A. The 20th Annual Procrastinator's Marathon: Hot Topic Clinical Updates 12/12/2017 6.00 N.A. HOPS CE Series - Metastatic Colon Cancer 12/11/2017 1.00 N.A. Procrastinator’s Marathon 2017 12/10/2017 9.00 N.A. HIV and Hepatitis C: Models of Care 12/09/2017 2.50 N.A. Men and Women's Health Forum for the Pharmacist 12/08/2017 4.00 N.A. Cardiovascular Symposium 2017 12/08/2017 7.00 N.A. Antimicrobial Stewardship' What Is It and Why Is It Necessary? 12/05/2017 1.00 N.A. New Drugs Update 12/02/2017 4.00 N.A. Coastal Carolina Diabetes & Endocrinology Day 12/01/2017 7.00 N.A. New Drugs and Disease Management Strategies 2017 11/30/2017 5.00 N.A. UNC Hospital Series November 30, 2017 11/30/2017 3.00 N.A. New Medication Update Fall 2017 for Pharmacy Technicians 11/28/2017 1.00 N.A. HOPS CE Series - Colon Cancer 11/27/2017 1.00 N.A. How To Manage Adverse Events From Immuno-Oncology Agents: An Inpatient Pharmacist Guide 11/21/2017 1.00 N.A. Year-End Pharmacist Update #1- 2017 11/18/2017 3.00 N.A. 2017 Research and Evidence-Based Practice Symposium 11/17/2017 6.00 N.A. Antimicrobial Stewardship in the Management of Pediatric Outpatient Infections 11/16/2017 2.00 N.A. Viral Infections in Stem Cell Transplantation 11/16/2017 1.00 N.A. Rural Health Symposium 11/16/2017 13.50 N.A. Management of Alcohol Withdrawal Syndrome (AWS) in the Acute Care Setting 11/15/2017 1.00 N.A. Management of Opioid Crisis for the Pharmacist 11/14/2017 2.00 N.A. HOPS CE Series - Chronic Myelogenous Leukemia 11/13/2017 1.00 N.A. 2017 Epilepsy Symposium - Diagnosis, Management & Support 11/11/2017 4.50 N.A. Pharmacy Law: What's New for 2017 11/10/2017 2.00 N.A. Pharmacy Law: What's New for 2017 11/09/2017 2.00 N.A. UNC Hospital Series November 9, 2017 11/09/2017 3.00 N.A. Enhancing Your Precepting Responsiveness to an Ever-Changing Workforce 11/09/2017 1.50 N.A. Controlled Substance Prescribing: Clinicians United in Response to the Epidemic 11/09/2017 2.00 N.A. Wilson Medical Center Pharmacy CE Symposium 11/08/2017 12.00 N.A. Meeting the Health Care Needs of Lesbian, Gay, Bisexual, and Transgender People: Ending Invisibility and Knowing Your Patients 11/07/2017 2.75 N.A. Significant Papers 11/07/2017 2.50 N.A. Extracorporeal membrane oxygenation: a breath of life on ECMO 11/07/2017 1.00 N.A. 15th Annual Hepatology Symposium 11/04/2017 5.00 N.A. No Pain, No Knowledge Gain A Comprehensive Look at the Management of Pain in 2017 11/04/2017 6.25 N.A. Diabetes 101 for Pharmacists and Nurses 11/03/2017 4.00 N.A. Addiction Treatment Options 11/03/2017 7.00 N.A. Eastern North Carolina Lung Cancer Symposium 11/03/2017 6.50 N.A. The Future of HIV Antiretroviral Therapy Venous Thromboembolism Prophylaxis in Patients with Traumatic Brain Injury: Should We Do It and When? 11/01/2017 1.00 N.A. Novel Approaches to Surfactant Therapy for Treatment of Respiratory Distress Syndrome (RDS) 11/01/2017 1.00 N.A. 24th Annual Pharmacy Alumni Weekend - Transitions of Care and Deprescribing 10/27/2017 2.00 N.A. The 29th Annual Recent Developments in Internal Medicine 10/26/2017 - 10/28/2017 17.50 N.A. Evolving Standard of Care in Opioid Treatment 10/25/2017 2.00 N.A. Medicare 2018: The Policies, Politics & Practical Part D Pearls 10/24/2017 2.00 N.A. Where Are All the Drugs? How Medication Shortages Impact Pharmacists, Providers, and Patients 10/24/2017 1.00 N.A. Coping with Cancer Series: Striving for Excellence in Palliative Care 10/21/2017 4.50 N.A. 2017 Pharmacy Update: The Year in Review 10/20/2017 6.00 N.A. When Cancer Hits Below the Belt: Colon Cancers and HPV-Associated Cancers 10/19/2017 6.00 N.A. Pharmacokinetics- A Drug Review 10/18/2017 1.00 N.A. Opioids and Chronic Pain Management 10/17/2017 1.00 N.A. New Drug Updates 2017 A Formulary Approach 10/17/2017 2.00 N.A. Fall Symposium: Exploring Advancements in Hepatitis, Diabetes, Heart Failure 10/15/2017 6.00 N.A. Health Law and Ethics Update 10/13/2017 6.00 N.A. The Practical Management of Heart Failure 10/13/2017 - 10/15/2017 19.50 N.A. UNC Hospital Series October 12, 2017 10/12/2017 3.00 N.A. Resident Pharmacotherapy Symposium Series: Hepatitis C Virus Therapy: Past Struggles, Current Therapies, and Future Challenges 10/12/2017 1.00 N.A. 1st Annual Mind, Body and Spirit Symposium: The Essence of Aromatherapy 10/12/2017 12.00 N.A. Precepting Essentials for the New Preceptor - Live Webinar 10/11/2017 2.00 N.A. Achy Breaky Hart: Heart Failure Pharmacology 10/10/2017 1.00 N.A. Pediatric Acute Care Conference 10/10/2017 9.00 N.A. HOPS CE Series - Metastatic Breast Cancer 10/09/2017 1.00 N.A. Are you in Compliance HIPAA/OSHA Update for Helping Professional 10/06/2017 6.00 N.A. Prevention and Treatment of ICU Delirium 10/04/2017 1.00 N.A. 32nd Annual MASPEN Conference 09/29/2017 6.00 N.A. 9th Annual A Day of Critical Care Symposium 09/29/2017 5.50 N.A. Therapeutic Management of Opioid Risks when Prescribing for Acute and Chronic Orofacial Pain 09/28/2017 2.00 N.A. UNC Hospital Series September 28, 2017 09/28/2017 3.00 N.A. Medical assisted treatment for substance use disorder 09/28/2017 2.00 N.A. Gender Love and Care: Everything you never knew you needed to know 09/27/2017 1.00 N.A. HOPS CE Series - Breast Cancer 09/25/2017 1.00 N.A. Oncology and Malignant Hematology Review Conference 09/22/2017 7.00 N.A. Management of Adults with Hospital-Acquired and Ventilator-Associated Pneumonia 09/20/2017 1.00 N.A. Taking Care of You So You Can Better Take Care of Others! 'The Mind, Body, and Spirit Balance' 09/20/2017 5.75 N.A. Cardiovascular Symposium 09/20/2017 - 09/22/2017 18.25 N.A. Gender Love and Care: Everything you never knew you needed to know 09/19/2017 1.00 N.A. Pharmacogenomics Basics 09/12/2017 2.00 N.A. Dilemmas in Endocarditis Management: Linking Evidence Based Medicine to Challenging Situations 09/12/2017 1.00 N.A. HOPS CE Series - Pediatric oncology clinical protocols 09/11/2017 1.00 N.A. Immunizations: Role of the Pharmacist and Pharmacy Technician 09/08/2017 4.00 N.A. Pharmacy Based Immunization Updates 2017 09/07/2017 3.00 N.A. UNC Hospital Series September 7, 2017 09/07/2017 3.00 N.A. Precepting Essentials for the New Preceptor - Live Webinar 09/05/2017 2.00 N.A. Goals or No Goals, That is the Question: An Update in Dyslipidemia Management 08/29/2017 1.00 N.A. HOPS CE Series - Oncology Literature Evaluation 08/28/2017 1.00 N.A. Pharmacy-Based Immunization Updates 2017 08/20/2017 3.00 N.A. Primer on Practical Pediatrics 08/04/2017 6.00 N.A. Treatment of Primary Insomnia in Adults 07/19/2017 1.00 N.A. 8th Annual Asthma, Allergy and Pulmonary Update 07/14/2017 8.25 N.A. Heart Failure Management 2017: Precision Medicine to Personalize Care 07/13/2017 - 07/16/2017 19.75 N.A. Maybe I shouldn't have another drink - the treatment of alcohol withdrawal syndrome 07/11/2017 1.00 N.A. Street Drugs - Part II (Cocaine) 06/29/2017 1.00 N.A. Guidelines for Treatment of High Blood Pressure 06/26/2017 1.50 N.A. Prescription Drug Abuse, the Federal Controlled Substances Act and the Legal Obligation of Corresponding Responsibility 06/26/2017 2.00 N.A. HOPS CE Series - Sarcoma 06/26/2017 1.00 N.A. Achy Breaky Heart: Heart Failure Pharmacology 06/21/2017 1.00 N.A. Anticoagulation Case-Based Update & Anti-Xa Monitoring of Heparin Infusions 06/21/2017 1.00 N.A. ASHP Midyear 2016 Highlights Part II 06/20/2017 1.50 N.A. Clinical Pearls and Case Studies in Integrative Medicine: Focus on Supplements 06/14/2017 1.00 N.A. No More Wine-ing: A Solution to Acute Alcohol Withdrawal Syndrome 06/13/2017 1.00 N.A. ASHP Midyear 2016 Highlights Part I 06/12/2017 1.50 N.A. HOPS CE Series - Melanoma 06/12/2017 1.00 N.A. Management of Obstetrical Emergencies 06/09/2017 1.00 N.A. 2017 Men's health Symposium 06/09/2017 6.00 N.A. Computers are Stealing My Brain: The Current and Future Role of Informatics in Helthcare 06/07/2017 1.00 N.A. Dental Pain Pharmacotherapy: Considerations in Today's Healthcare Landscape 06/06/2017 2.00 N.A. Carolinas Medical Center Clinical Pharmacy Symposium 06/01/2017 6.00 N.A. Carolinas HealthCare Symposium to Optimize, Network, and Engage Antimicrobial Stewardship Partners 05/31/2017 6.75 N.A. UNC Hospital Series May 24, 2017 05/24/2017 3.00 N.A. Preventing Infection: Impact of Emerging Global Infectious Diseases in the US and the Role of Vaccines and the Role of Maternal Immunization for Preve 05/24/2017 2.00 N.A. Turning Back the Clock: Treatment of Neuropsychiatric Symptoms and Future Therapy Options for Alzheimer 05/23/2017 1.00 N.A. Antidepressants and Cardiovascular Disease - What to do with an 'Achy Breaky Heart' 05/23/2017 1.00 N.A. 2017 Research in Education and Practice Symposium 05/22/2017 9.00 N.A. Dental Pharmacology: Medications Used in Dentistry 05/19/2017 2.00 N.A. Antipsychotic Use in the Treatment of Delirium 05/19/2017 1.00 N.A. Seventh Annual Resident Spring Symposium 05/18/2017 2.25 N.A. Statin Groups and Therapy 05/17/2017 1.00 N.A. 2017 Preceptor Development Workshop 05/16/2017 3.00 N.A. Pulmonary Arterial Hypertension: Determining the Right Therapy for the Heart 05/16/2017 1.00 N.A. The Un-Nerving Truth: An Update in Multiple Sclerosis Pharmacotherapy 05/09/2017 1.00 N.A. Pharmacy Law Update 05/08/2017 2.00 N.A. HOPS CE Series - Pediatric Malignancies 05/08/2017 1.00 N.A. Safe and Effective Opioid Prescribing for Chronic Pain 05/05/2017 2.75 N.A. 19th Annual Diabetes Management Conference: Coming Full Circle 05/05/2017 6.00 N.A. Peripheral Neuropathy 05/04/2017 2.00 N.A. Pharmacy Law Update 2017 05/04/2017 2.00 N.A. UNC Hospital Series May 3, 2017 05/03/2017 3.00 N.A. Management of Acute Decompensated Heart Failure 05/03/2017 1.00 N.A. Responding to the Opioid Challenge: Guidance for Healthcare Providers 05/02/2017 1.00 N.A. Suicide and the Military: What Makes its Members Vulnerable? 05/02/2017 6.00 N.A. HIV Care in 2017: Clinical Update and Vunerable Populations 05/01/2017 7.00 N.A. 29th Annual Diabetes Conference 04/26/2017 6.25 N.A. The Many Faces of Opioid and Heroin Addiction 04/26/2017 6.00 N.A. 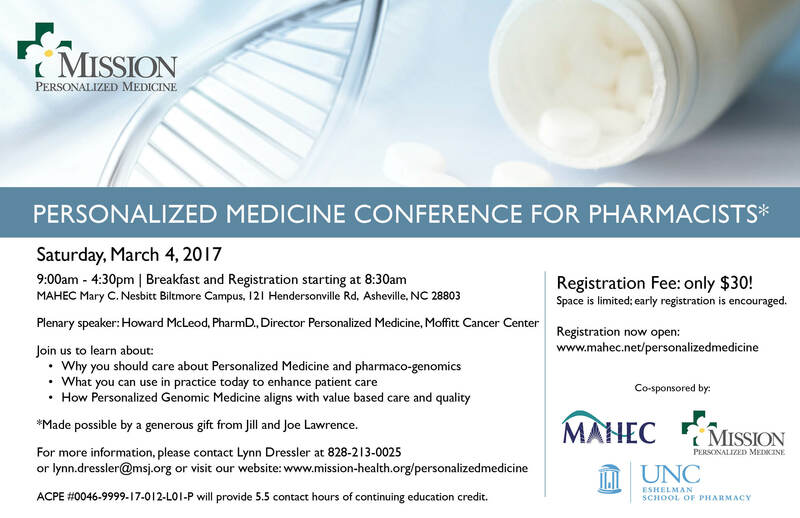 Experiential Updates from the UNC Eshelman School of Pharmacy 04/25/2017 1.00 N.A. Pharmacy Student Research Presentations 04/25/2017 1.00 N.A. Different Strokes: An Update on Acute Ischemic Stroke Prevention and Management 04/25/2017 1.00 N.A. HOPS CE Series - Renal Cell Carcinoma 04/24/2017 1.00 N.A. Professionalism in Health Care and Legal Implications of Social Media 04/24/2017 5.00 N.A. Certification Prep Course for Certified Diabetes Educators (CDE) 04/24/2017 15.00 N.A. An Integrative, Evidence-based Approach to Care of Persons with Chronic Pain 04/21/2017 7.00 N.A. Antimicrobial Stewardship' What Is It and Why Is It Necessary? 04/19/2017 1.00 N.A. PEZ or Pill? Understanding Pediatric Poisoning 04/19/2017 1.00 N.A. Medical Marijuana-WOMACK 04/19/2017 1.00 N.A. Declaring War on Drugs: The Art of Deprescribing 04/18/2017 2.00 N.A. Effects of Anticoagulants on Lab Values and Markers 04/18/2017 1.00 N.A. Pharmacy Law: What's new for 2017 04/13/2017 2.00 N.A. UNC Hospital Series April 12, 2017 04/12/2017 3.00 N.A. Sandhills Area Residency Group (SARG) Research Symposium 04/11/2017 3.00 N.A. HOPS CE Series - Ovarian Cancer 04/10/2017 1.00 N.A. Down-East Dermatology Day 04/07/2017 7.00 N.A. Acute Ischemic Stroke: To tPA and Beyond 04/05/2017 1.00 N.A. C the Difference: An Overview of the Diagnosis, Treatment and Prevention of Clostridium Difficile Infection 04/04/2017 1.00 N.A. The Asheville Summit for Interdisciplinary Pharmacy Practice 04/01/2017 4.50 N.A. 28th Annual Aging Symposium: Non-pharmacological Interventions for Challenging Situations in Alzheimer's and Other Forms of Dementia 03/29/2017 6.00 N.A. Anticoagulation and CKD: Thinning Out the Kidney Controversy 03/28/2017 1.00 N.A. HOPS CE Series - Prostate Cancer 03/27/2017 1.00 N.A. UNC Hospital Series March 22, 2017 03/22/2017 3.00 N.A. Pediatric Obesity and Complication Management 03/15/2017 1.00 N.A. Congestive Heart Failure and Hyperkalemia and Push-Dose Pressors, Oh My! 03/15/2017 1.00 N.A. 2017 NCAP Chronic Care Practice Forum Meeting 03/15/2017 - 03/17/2017 12.50 N.A. The Need for Speed: Use of Rapid Diagnostics for Early Organism Identification 03/14/2017 1.00 N.A. HOPS CE Series - Head and Neck Cancers 03/13/2017 1.00 N.A. Alzheimer's Disease 03/10/2017 1.00 N.A. Integrating Pharmacogenomics into Pharmacy Practice 03/09/2017 2.00 N.A. Resident Pharmacotherapy Symposium Series: Vaccines Part 2: Protecting the Vulnerable-Considerations for Vaccinations in Special Populations 03/09/2017 1.00 N.A. 2017 North Carolina Annual STD Update 03/08/2017 5.25 N.A. Resident Pharmacotherapy Symposium Series: How Sweet It Is - New Medications for the Management of Diabetes 03/07/2017 1.00 N.A. Cardiovascular Care Symposium 2017 03/04/2017 6.00 N.A. Clinical Update and Psychopharmacology Review - Day 2 03/03/2017 4.25 N.A. Clinical Update and Psychopharmacology Review - Day 1 03/02/2017 5.75 N.A. Hazardous Medications 03/01/2017 1.00 N.A. UNC Hospital Series March 1, 2017 03/01/2017 3.00 N.A. The Neonatal Kaleidoscope: From the NICU to the Community 02/28/2017 5.50 N.A. Resident Pharmacotherapy Symposium: Simplifying Biosimilars: What Are They and What Is Their Future in Healthcare? 02/27/2017 1.00 N.A. 10th Annual Cone Health Heart and Vascular Symposium: Structural Heart Disease 02/24/2017 7.00 N.A. Don't Get a Big Head: An Updated on Hyperosmolar Therapy for Elevated Intracranial Pressure 02/15/2017 1.00 N.A. You are the Heart of Healthcare 02/15/2017 1.00 N.A. Management of Hypertension 02/15/2017 1.00 N.A. HOPS CE Series - Chronic Leukemias 02/06/2017 1.00 N.A. UNC Hospital Series February 1, 2017 02/01/2017 2.00 N.A. HOPS CE Series - Hodgkin Lymphoma 01/23/2017 1.00 N.A. 2017 ADA Guidelines Update: Is It Time to Remove Metformin as First Line Therapy? 01/19/2017 2.00 N.A. Nosocomial Pneumonia: Update from the 2016 Guidelines 01/18/2017 1.00 N.A. Preventing Opioid Abuse 01/18/2017 1.00 N.A. Resident Pharmacotherapy Symposium Series: Rapid Diagnostic Testing in the Microbiology Lab: A Primer for Pharmacists 01/18/2017 1.00 N.A. Surviving the Sweet Life: A Review of Hyperglycemic Crisis Management 01/17/2017 1.00 N.A. UNC Hospital Series January 11, 2017 01/11/2017 3.00 N.A. HOPS CE Series - Non Hodgkin Lymphoma 01/09/2017 1.00 N.A. Not Your Grandfather's RAAS Blockade:Expanding Uses of Aldosterone Antagonists 01/04/2017 1.00 N.A. Toxicological Emergencies: A Pharmacists Guide 01/03/2017 1.00 N.A. Getting in the Know with the Flow: Understanding Renal Replacement Therapies 12/20/2016 1.00 N.A. Acute Aortic Dissection: A Medical Emergency 12/13/2016 1.00 N.A. Different Means for Different Genes: Decoding Cardiovascular Pharmacogenomics and Its Clinical Implications 12/13/2016 1.00 N.A. HOPS CE Series - Multiple Myeloma 12/12/2016 1.00 N.A. 14th Annual Hepatology Symposium 12/12/2016 5.50 N.A. Year-End Pharmacist Update #2- 2016 12/10/2016 3.00 N.A. Opioid Use and Misuse in the Elderly 12/02/2016 7.00 N.A. Pharmacy Leadership: Meds and More - Theft 12/01/2016 1.50 N.A. Pharmacy Leadership: Meds and More 12/01/2016 1.50 N.A. Ketamine: Troubled Past but Perhaps a Promising Future 12/01/2016 1.00 N.A. UNC Hospital Series November 30, 2016 11/30/2016 3.00 N.A. HOPS CE Series - Breast Cancer 11/28/2016 1.00 N.A. New Drugs and Disease Management Strategies 11/18/2016 5.00 N.A. 2016 Pharmacy Update: Law 11/17/2016 1.50 N.A. Peripheral Neuropathy 11/16/2016 1.00 N.A. Time is Brain: An Overview of Ischemic Stroke Management 11/15/2016 1.00 N.A. HOPS CE Series - Pharmacogenomics 11/14/2016 1.00 N.A. Year-End Pharmacist Update #1- 2016 11/12/2016 3.00 N.A. Preceptor Recognition and Continuing Education Dinner 11/10/2016 1.50 N.A. UNC Hospital Series November 9, 2016 11/09/2016 3.00 N.A. DLP, Wilson Medical Center Symposium 11/09/2016 12.00 N.A. Continuity of Care: Treating Drug Use in Mother and Baby 11/08/2016 1.00 N.A. Pharmacy Alumni Weekend 11/05/2016 1.50 N.A. 2016 Epilepsy Symposium: Traditional & Integrative Approaches to Seizures 11/05/2016 5.00 N.A. 2016 NCAP Annual Convention 11/04/2016 13.75 N.A. Antibiotic Dosing in Obesity: Should We Be Scaling Up or Down? 11/02/2016 1.00 N.A. Limiting Your Risk When Prescribing and Dispensing Opiates 10/27/2016 3.00 N.A. Diabetes Medication Review 10/27/2016 1.00 N.A. HOPS CE Series - Targeted Therapies 10/24/2016 1.00 N.A. Recent Developments in Internal Medicine 10/20/2016 - 10/22/2016 17.15 N.A. Diabetes: What to Do After Metformin 10/19/2016 1.00 N.A. Direct Oral Anticoagulants: Their Role in Patient Care 10/19/2016 1.00 N.A. UNC Hospital Series October 19, 2016 10/19/2016 3.00 N.A. Safe Use of Parenteral Nutrition in Adult and Pediatric Patients 10/18/2016 1.00 N.A. A Less Painful Approach to Managing Chronic Pain 10/18/2016 1.00 N.A. Opioid Prescribing and the Heroin Epidemic: Are We Ready? 10/14/2016 6.00 N.A. To Be or Not to Be Similar: Discussion on the role of Biosimilars 10/11/2016 1.00 N.A. HOPS CE Series - Monoclonal Antibodies 10/10/2016 1.00 N.A. Live Long and Prosper: Focus on Preventive Care for Pharmacists 10/09/2016 6.00 N.A. Acute Hereditary Angioedema due to C1-Inhibitor 10/06/2016 1.00 N.A. Heparins and Warfarin and NOACs, Oh My! A Case-Based Overview of Anticoagulation 10/05/2016 1.00 N.A. Enhancing Clinical Services in a Community Pharmacy 09/29/2016 2.00 N.A. UNC Hospital Series Sept 28, 2016 09/28/2016 3.00 N.A. Medication management in the post-bariatric surgery patient 09/28/2016 1.00 N.A. Antimicrobial Stewardship: Fighting Resistance One Patient at a Time 09/27/2016 1.00 N.A. HOPS CE Series - Alkylating Agents 09/26/2016 1.00 N.A. Therapeutic Hypothermia in the NICU 09/22/2016 1.00 N.A. 8th Annual A Day of Critical Care Symposium 09/19/2016 5.50 N.A. Intro to Clinical/Holistic Aromatherapy for the Helping Professional 09/16/2016 7.00 N.A. Cardiovascular Symposium 2016 Main Conference Day 2 09/16/2016 6.00 N.A. Cardiovascular Symposium 2016 Main Conference Day 1 09/15/2016 4.00 N.A. Cardiovascular Symposium 2016 - CHF Boot Camp: Becoming Heart Strong 09/15/2016 4.50 N.A. Cardiovascular Symposium 2016 - EKG and STEMI Workshop 09/14/2016 6.25 N.A. HOPS CE Series - Topoisomerase I/II inhibitors and antimicrotubule 09/12/2016 1.00 N.A. UNC Hospital Series Sept 7, 2016 09/07/2016 2.25 N.A. Pulmonary Hypertension 09/07/2016 1.00 N.A. Pharmacy-Based Immunization Updates for 2016 09/01/2016 3.00 N.A. HOPS CE Series - Antimetabolites 08/22/2016 1.00 N.A. Pharmacy-Based Immunization Updates 2016 08/21/2016 3.00 N.A. Renal Dosing of Medications: A Case-Based Review 08/17/2016 1.00 N.A. Street Drugs 08/16/2016 1.00 N.A. HOPS CE Series - Interpretation of the oncology literature; endpoints in oncology 08/08/2016 1.00 N.A. 2015 Adult ACLS Guidelines 07/20/2016 11.00 N.A. Heart Failure Management 2016: Personalized Medicine to Optimize Care 07/14/2016 - 07/17/2016 18.75 N.A. Getting to Know 340B 07/06/2016 1.00 N.A. Drug Diversion w/ Det. Shelia Valdez: Don't be Scammed! 06/28/2016 2.00 N.A. Beyond Slippery Elm and Buzzard Grease: A guide to Folk Medicine of Appalachia 06/24/2016 4.00 N.A. Medical Mystery: Management of an acutely bleeding patient 06/22/2016 1.00 N.A. HOPS CE Series - Melanoma 06/13/2016 1.00 N.A. Selected Topics in Solid Organ Transplant Pharmacotherapy 06/08/2016 1.00 N.A. UNC Hospital Series June 8, 2016 06/08/2016 2.25 N.A. HOPS CE Series - Primary CNS Cancers 06/06/2016 1.00 N.A. Management of Sepsis and Septic Shock 06/02/2016 1.00 N.A. Opioid Use in Chronic Pain and the Pharmacist's Role 05/25/2016 1.00 N.A. UNC Hospital Series May 19, 2016 05/19/2016 1.50 N.A. HOPS CE Series - Pediatric Malignancies 05/16/2016 1.00 N.A. Research in Education and Practice Symposium 05/16/2016 9.00 N.A. Pharmacy Preceptor Development 05/12/2016 3.00 N.A. UNC Hospital Series May 12, 2016 05/12/2016 1.50 N.A. UNC Hospital Series May 11, 2016 05/11/2016 2.25 N.A. HOPS CE Series - Chronic Lymphocytic Leukemia 05/09/2016 1.00 N.A. UNC Hospital Series May 5, 2016 05/05/2016 1.50 N.A. Sickle Cell Disease and the Role of Pharmacist 05/04/2016 1.00 N.A. Pharmacy Curriculum Changes - An Update for the Preceptor 04/26/2016 1.00 N.A. ALS: It's More Than a Bucket Challenge 04/26/2016 1.00 N.A. UNC Hospital Series April 21, 2016 04/21/2016 1.50 N.A. HOPS CE Series - Renal Cell Carcinoma 04/18/2016 1.00 N.A. The Asheville Summit on Innovative Pharmacy Practice 04/16/2016 4.50 N.A. Hot Happenings in Geriatric Ambulatory Care: Osteoporosis, Beers Criteria Update, and the Annual Wellness Visit 04/15/2016 1.50 N.A. RSS: Effects of OTC, Prescription, and Street Drugs on Oral Health 04/15/2016 3.00 N.A. UNC Hospital Series April 13, 2016 04/13/2016 3.00 N.A. 2016 Update on the Outpatient Management of COPD 04/12/2016 2.00 N.A. Sandhills Area Residency Group (SARG) Research Symposium 04/12/2016 3.00 N.A. Antibiotics: Pneumonia & Sepsis 04/11/2016 1.00 N.A. HOPS CE Series - Gynecology Oncology 04/11/2016 1.00 N.A. UNC Hospital Series April 7, 2016 04/07/2016 1.50 N.A. HOPS CE Series - Chronic Myeloid Leukemia 04/04/2016 1.00 N.A. Take a Deep Breath: Use of tPA for Treatment of Pulmonary Embolism 03/29/2016 1.00 N.A. Are You Up-to-Date on Your Vaccinations? An Update on Immunizations 03/29/2016 1.00 N.A. UNC Hospital Series Mar 24, 2016 03/24/2016 1.50 N.A. Pharmacy Law Update 2016 03/23/2016 2.00 N.A. HOPS CE Series - Palliative Care 03/21/2016 1.00 N.A. UNC Hospital Series Mar 16, 2016 03/16/2016 3.00 N.A. The Good, the Bad, and the Ugly: Optimizing Management of Methicillin-Resistant Staphylococcus aureus Infections 03/15/2016 1.00 N.A. HOPS CE Series - Benign Hematology 03/14/2016 1.00 N.A. Motivational Interviewing Foundation Intensive for Healthcare Providers 03/10/2016 6.50 N.A. UNC Hospital Series Mar 10, 2016 03/10/2016 1.50 N.A. Basic EKG Analysis 03/08/2016 1.00 N.A. HOPS CE Series - Prostate Cancer 03/07/2016 1.00 N.A. HOPS CE Series 02/29/2016 1.00 N.A. 9th Annual Cone Health Heart and Vascular Symposium: Cardiac Arrest 02/26/2016 6.75 N.A. UNC Hospital Series Feb 25, 2016 02/25/2016 0.75 N.A. Women's Health Conference 02/19/2016 7.00 N.A. Pharmacotherapy of Acute Management of Atrial Fibrillation 02/17/2016 1.00 N.A. UNC Hospital Series Feb 17, 2016 02/17/2016 2.25 N.A. 2016 Diabetes Update: New Guidelines and New Drugs - How to Incorporate Both Into a Patient-Centered Treatment Plan 02/11/2016 2.00 N.A. UNC Hospital Series Feb 11, 2016 02/11/2016 1.50 N.A. HOPS CE Series 02/08/2016 1.00 N.A. Getting Started in Publishing 02/05/2016 1.00 N.A. Reducing Vancomycin utilization in Patients with Health Care-Associated Pneumonia 02/03/2016 1.00 N.A. HOPS CE Series 02/01/2016 1.00 N.A. Cardiovascular Care Symposium 01/30/2016 6.00 N.A. The Oncology Pharmacy Genome Project 01/28/2016 1.00 N.A. Youth Mental Health First Aid 01/28/2016 8.00 N.A. Pharmacy Curriculum Changes - An Update for the Preceptor 01/27/2016 1.00 N.A. Filtering Through the Data Behind CRRT 01/26/2016 1.00 N.A. Hodgkin Lymphoma 01/25/2016 1.00 N.A. UNC Hospital Series Jan 20 2016 01/20/2016 3.00 N.A. Updates in the Treatment of Pneumonia 01/20/2016 1.00 N.A. Battling the Balance between Warfarin and DOACs: An Anticoagulation Update 01/19/2016 1.00 N.A. UNC Hospital Series Jan 14 2016 01/14/2016 1.50 N.A. The Use of ACE Inhibitors and ARBs in CKD 01/12/2016 1.00 N.A. Non Hodgkin Lymphoma 01/11/2016 1.00 N.A. 4th Annual Pharmacy Resident CE Symposium:Navigating the High SEAS of Infectious DiSEASe 01/09/2016 6.50 N.A. Pediatric MYSTERY Case 01/06/2016 1.00 N.A. The Student Pharmacist and Patient-Centered Diabetes Care Chapel Hill Campus 01/04/2016 - 02/27/2016 0.00 N.A. MTM Student Elective Asheville Campus 01/04/2016 - 04/11/2016 21.00 N.A. MTM Student Elective Chapel Hill Campus 01/04/2016 - 04/21/2016 0.00 N.A. The Student Pharmacist and Patient-Centered Diabetes Care Asheville Campus 01/04/2016 - 02/27/2016 0.00 N.A. Management of Complex Patients on NOAC Therapy 12/18/2015 1.00 N.A. It's Time to Vent 12/16/2015 1.00 N.A. Hazardous Drugs and Multidisciplinary Risk Reduction Strategies: A Call to Action 12/15/2015 2.00 N.A. Procrastinators' Marathon 2015: New Drugs in 2015; Optimizing Outcomes for Patients with Cystic Fibrosis; Falls Prevention Update; Asthma Devices; and 12/13/2015 3.00 N.A. Procrastinators' Marathon 2015: New Drugs in 2015; Optimizing Outcomes for Patients with Cystic Fibrosis; Falls Prevention Update; Astham Devices; and 12/13/2015 3.00 N.A. Update in Hypertension Management 12/12/2015 1.00 N.A. A Pharmacist's Guide to Statin Intolerance 12/12/2015 1.00 N.A. Precision Medicine Call to Action: Deciphering the Genetic Code in Clinical Practice 12/12/2015 1.00 N.A. Managing Medications in the Elderly Population: Challenges and Optimization Strategies 12/12/2015 1.00 N.A. 13th Annual Hepatology Symposium: High Impact Hepatology 12/12/2015 5.00 N.A. Coastal Carolina Diabetes and Endocrine Day 12/11/2015 6.50 N.A. World AIDS Day (Update 2015) 12/04/2015 3.50 N.A. Health Law 2015 - Everything Matters 12/04/2015 8.00 N.A. Reducing Medication Errors 12/03/2015 1.50 N.A. Supervising & Having Crucial Conversations 12/03/2015 1.50 N.A. Updates In Antimicrobial Stewardship: Raleigh Campus, Online via Lync 12/02/2015 1.00 N.A. Acute Myeloid Leukemia 11/30/2015 1.00 N.A. Cardiogenic Shock: The Fight for Tissue Perfusion 11/24/2015 1.00 N.A. Dont Feel the Pressure its just PAH Current Evidence for the Optimal Treatment of Pulmonary Arterial Hypertension 11/24/2015 1.00 N.A. Multiple Myeloma 11/23/2015 1.00 N.A. Pharmacogenetics and New Drug Update 11/20/2015 4.00 N.A. Pharmacy Law and Legislative Update 11/20/2015 2.00 N.A. New Drugs and Disease Management Strategies 11/20/2015 6.00 N.A. 16ID005 - 2015 Epilepsy Symposium:Stop Seizures, Side Effects and Stigma! 11/20/2015 3.50 N.A. UNC Hospital Series November 19 2015 11/19/2015 1.50 N.A. One Federal Solution: Implementation of the Drug Supply Chain Security Act 11/18/2015 0.75 N.A. UNC Hospital Series Nov 18 2015 11/18/2015 2.25 N.A. Sacubitril/Valsartan: A Paradigm Shift in Heart Failure 11/18/2015 1.00 N.A. Significant Papers 11/17/2015 3.00 N.A. 4th Annual Toxicology Update 11/17/2015 6.00 N.A. Mental Health First Aid 11/17/2015 8.00 N.A. Early/Localized Breast Cancer 11/16/2015 1.00 N.A. 7th Annual A Day of Critical Care Symposium 11/13/2015 6.00 N.A. Translating A Transformed Curriculum Across the Continuum of Learners 11/12/2015 1.50 N.A. Applied Case Studies in Self-Care Therapeutics 11/12/2015 2.00 N.A. Day 2 Session 4: Geriatrics 101...The Art of Identifying Adverse Drug Reactions 11/12/2015 1.50 N.A. Day 2 Session 3: Transitions of Care: Medication Therapy Management and Pharmacy Technicians' Role 11/12/2015 1.50 N.A. Day 2 Session 2: You are the Key to HPV Cancer Prevention 11/12/2015 1.50 N.A. Day 2 Session 1: Sugar Busters: A Focus on the Newer Antihyperglycemic Agents 11/12/2015 1.50 N.A. Day 1 Session 4: Stroke Education for Health Care Providers: Unbuckling the Stroke Belt 11/11/2015 1.50 N.A. Day 1 Session 3: Anticoagulation in Atrial Fibrillation 11/11/2015 - 11/24/2015 1.50 N.A. Day 1 Session 2: Antibiotic Stewardship 11/11/2015 1.50 N.A. Day 1 Session 1: Management of Depression in Adults and Adolescents 11/11/2015 1.50 N.A. The Change from Old to New: A Review of Pharmacologic Agents for the Prevention and Treatment of Bronchopulmonary Dysplasia 11/10/2015 1.00 N.A. Immuno-Oncology: A Whole New World 11/10/2015 1.00 N.A. Precision Medicine Call to Action; Deciphering the Genetic Code in Clinical Practice 11/10/2015 2.00 N.A. Alkylating Agents 11/09/2015 1.00 N.A. 8th Annual Venous Thromboembolism (VTE) and Anti-Coagulation Therapy Conference 11/07/2015 - 11/19/2015 6.00 N.A. Pharmacy Law 11/06/2015 2.00 N.A. The 2015 Diabetes Summit 11/06/2015 7.00 N.A. New Drugs 11/06/2015 4.00 N.A. UNC Hospital Series 11/5/15 11/05/2015 1.50 N.A. Immunotherapy/Miscellaneous Agents 11/02/2015 1.00 N.A. NCAP Annual Convention 11/01/2015 - 12/31/2015 31.25 N.A. Medication Therapy Management Certificate Program 11/01/2015 8.00 N.A. Lung Cancer Symposium 10/30/2015 5.75 N.A. UNC Hospital Series 10/28/15 10/28/2015 3.00 N.A. 11th Annual Cancer Symposium 10/28/2015 5.75 N.A. Attention Please - Pharmacologic Options for the Management of ADHD W 10/27/2015 2.00 N.A. Medicare in 2016: Practical Help for Pharmacists & Pharmacy Technicians 10/27/2015 2.00 N.A. Small Molecule Targeted Therapies 10/26/2015 1.00 N.A. Practical Management of Heart Failure: From Prevention to Advanced Disease Day 3 Session 8 10/25/2015 1.15 N.A. Practical Management of Heart Failure: From Prevention to Advanced Disease Day 3 Breakout Session 4 10/25/2015 0.75 N.A. Practical Management of Heart Failure: From Prevention to Advanced Disease Day 3 Session 7 10/25/2015 1.75 N.A. Practical Management of Heart Failure: From Prevention to Advanced Disease Day 2 Breakout Session 3-1 10/24/2015 0.75 N.A. Practical Management of Heart Failure: From Prevention to Advanced Disease Day 2 Breakout Session 3-2 10/24/2015 0.75 N.A. Practical Management of Heart Failure: From Prevention to Advanced Disease Day 2 Session 6 10/24/2015 1.75 N.A. Practical Management of Heart Failure: From Prevention to Advanced Disease Day 2 Session 5 10/24/2015 1.75 N.A. Practical Management of Heart Failure: From Prevention to Advanced Disease Day 2 Breakout Session 2 10/24/2015 0.75 N.A. Practical Management of Heart Failure: From Prevention to Advanced Disease Day 2 Session 4 10/24/2015 1.50 N.A. 1st Annual Sickle Cell Disease Symposium: A Comprehensive Approach to Managing Sickle Cell Disease 10/24/2015 6.00 N.A. Updates in Infectious Disease Management 10/23/2015 1.00 N.A. Practical Management of Heart Failure: From Prevention to Advanced Disease Day 1 Breakout Session 1 10/23/2015 0.75 N.A. Practical Management of Heart Failure: From Prevention to Advanced Disease - Day 1 Session 3 10/23/2015 2.15 N.A. Practical Management of Heart Failure: From Prevention to Advanced Disease - Day 1 Session 2 10/23/2015 - 12/15/2015 2.15 N.A. Practical Management of Heart Failure: From Prevention to Advanced Disease - Day 1 Session 1 10/23/2015 2.00 N.A. UNC Hospital Series 10/22/15 10/22/2015 1.50 N.A. 21st Annual Eastern Regional Cardiovascular Conference 2015 -Turn the Beat Around 10/21/2015 7.15 N.A. 27th Annual Recent Developments in Internal Medicine 10/15/2015 6.50 N.A. Navigating Through the New Sepsis CMS Core Measures 10/14/2015 1.00 N.A. Physiological, Pharmacokinetic and Pharmacodynamic Differences in the Pediatric Population 10/13/2015 1.00 N.A. Stop the Clock: Rapid Recognition and Timely Education for the ACS and Stroke Patient 10/13/2015 6.75 N.A. Topoisomerase I/II inhibitors & antimicrotubule Agents 10/12/2015 1.00 N.A. New Drug Update for the Pharmacist and Pharmacy Technician 10/09/2015 6.00 N.A. Friday, Oct 9 | Main Sessions 10/09/2015 5.50 N.A. Thursday, Oct 8 | Main Sessions 10/08/2015 4.00 N.A. UNC Hospital Series 10/8/15 10/08/2015 1.50 N.A. Thursday, Oct 8 | PreConference: Interactive & Hands-on Device Workshop - $45 10/08/2015 4.50 N.A. Wednesday PreConference | STEMI and Sudden Cardiac Arrest Bootcamp - $60 10/07/2015 6.50 N.A. Acute Lymphocytic Leukemia 10/05/2015 1.00 N.A. UNC Hospital Series 9/30/2015 09/30/2015 - 11/17/2015 3.00 N.A. Sickle Cell Disease: Transitioning From Teen and Adult 09/29/2015 3.00 N.A. Medications in the Elderly Population: Challenges and Optimization Strategies 09/29/2015 1.00 N.A. New Drug Update 2015: A Formulary Approach 09/29/2015 2.00 N.A. UNC Hospital Series 9/24/2015 09/24/2015 1.50 N.A. Dexmedetomidine for Alcohol Withdrawal Syndrome 09/23/2015 1.00 N.A. Pharmacy-Based Immunization Updates for 2015 09/17/2015 3.00 N.A. Diabetes Core Curriculum Workshop for Continuing Care Services 09/15/2015 7.00 N.A. Pharmacy-Based Immunization Updates 2015 09/13/2015 3.00 N.A. The Dementia Challenge with Teepa Snow 09/10/2015 5.50 N.A. Immunization Training Program- Asheville 09/02/2015 0.00 N.A. Immunization Training Program - Chapel Hill 09/02/2015 0.00 N.A. Oncologic Emergencies 08/31/2015 1.00 N.A. 21st Century Hypertension Management: Best Practices for Impacting Population Health 08/29/2015 5.25 N.A. Treatment Guidelines for Common Chronic Diseases 08/27/2015 3.00 N.A. Chemotherapy Dosing and Prescribing (Obesity, Carboplatin Dosing) 08/24/2015 1.00 N.A. 30th Annual Pharmacy Practice Seminar 08/21/2015 20.00 N.A. Investigational Drugs and Drug Development, Accelerated approval and patient access to oncology Drugs 08/17/2015 1.00 N.A. Diabetes Core Curriculum Workshop for Continuing Care Services 08/11/2015 7.00 N.A. Interpretation of the Oncology Literature; Endpoints in Oncology 08/10/2015 1.00 N.A. Cancer and Chemotherapy Basics 07/28/2015 2.00 N.A. 6th Annual Asthma, Allergy and Pulmonary Update 07/24/2015 8.50 N.A. 2013 ACC/AHA Cholesterol Guidelines: Cardiovascular Risk Assessment and Blood Cholesterol Treatment 07/07/2015 1.00 N.A. Clearing the Air: Updates in the Treatment of Chronic Obstructive Pulmonary Disease 06/09/2015 1.00 N.A. Gynecology Oncology 06/08/2015 1.00 N.A. Drug Allergy: Classification, Characteristics, Cross-Reactivity and Control 06/02/2015 1.00 N.A. Primary CNS Cancers 06/01/2015 1.00 N.A. Eastern Regional Alzheimer's Conference 2015 05/29/2015 6.00 N.A. Smoking Cessation and Chronic Obstructive Pulmonary Disease 05/29/2015 1.00 N.A. Motivational Interviewing for Healthcare Providers - Planning 05/28/2015 2.50 N.A. Taking the Road Less Traveled: Drug Alternatives for the Geriatric Patient 05/21/2015 2.00 N.A. Advancements in the Management of HIV 05/21/2015 2.00 N.A. The Community Pharmacy Early Immersion Experience 05/20/2015 1.00 N.A. Taking Care of Our Veterans: Awareness for Healthcare Professionals and the Community 05/20/2015 6.50 N.A. The Fifth Annual Resident Spring Symposium: Enhancing Patient Care Through Clinical Research 05/19/2015 2.25 N.A. Pediatric Malignancies 05/18/2015 1.00 N.A. Pharmacy Updates from the Crystal Coast 05/16/2015 4.00 N.A. 4th Annual Pharmacy Practice Seminar in the Mountains 05/16/2015 9.00 N.A. Motivational Interviewing for Healthcare Providers - Evoking 05/14/2015 2.50 N.A. 26th Annual Aging Symposium: The Aging Kaleidoscope 05/14/2015 6.00 N.A. Management of Patients with Heart Failure and Valvular Disease 05/14/2015 2.00 N.A. Chronic Lymphocytic Leukemia 05/11/2015 1.00 N.A. 2015 Standards of Medical Care in Diabetes 04/28/2015 2.00 N.A. Current Practice and Legislative Issues: What's Important to Pharmacists? 04/28/2015 3.00 N.A. Fundamentals of Management and Leadership 04/27/2015 3.00 N.A. Stroke Risk Assessment and Stroke Prevention for Women-Update for Stroke 2015 04/27/2015 2.00 N.A. UNC Hospital Series April 24 2015 04/24/2015 1.50 N.A. Leading the Way: Partnerships in Rural Health Settings 04/24/2015 3.00 N.A. Pharmacy Law Update 2015 04/23/2015 2.00 N.A. Managing Venous Thromboembolism in Patients with Cancer 04/21/2015 1.00 N.A. Sandhills Area Residency Group (SARG) Research Symposium 04/21/2015 3.00 N.A. Utilizing Evidence Based Education in the Experimental Setting 04/21/2015 1.00 N.A. Hypertension Certificate Renewal 04/20/2015 6.00 N.A. Renal Cell Carcinoma 04/20/2015 1.00 N.A. Motivational Interviewing for Healthcare Providers - Focusing 04/16/2015 2.50 N.A. 2015 Annual Diabetes Conference: The Changing Face of Diabetes Management 04/16/2015 6.00 N.A. Pharmacy Law: What's New for 2015 04/16/2015 2.00 N.A. UNC Hospital Series April 12 2015 04/12/2015 3.00 N.A. Billy E Jones Twenty-Eighth Annual Down-East Dermatology Day 04/10/2015 7.00 N.A. UNC Hospital Series April 10 2015 04/10/2015 1.50 N.A. Pharmacy Audits: Trends, Implications, and Strategy 04/08/2015 0.75 N.A. Patient Services at Retail: Fact or Fiction 04/07/2015 0.75 N.A. Industry Trends in Pharmacy Reimbursement 04/07/2015 0.75 N.A. Chronic Myeloid Leukemia 04/06/2015 1.00 N.A. UNC Hospital Series 03/27/2015 1.50 N.A. Medicare Quality Measures Every Pharmacist Should Know: Tools to Help You Reach The Stars 03/27/2015 2.00 N.A. Cone Health Research Forum: Academic & Interdisciplinary Partnerships 03/27/2015 6.50 N.A. UNC Hospital Series - March 25 2015 03/25/2015 2.25 N.A. 2015 Updates on NC Pharmacy 03/24/2015 4.00 N.A. Drug Addiction, Pain Management and Drug Diversion: Update for the Pharmacy Profssional 03/20/2015 6.00 N.A. Motivational Interviewing for Healthcare Providers 03/19/2015 2.50 N.A. Pharmacy Law Update 2015 03/19/2015 2.00 N.A. Relieving the Pain in Pain Management Therapy 03/17/2015 1.00 N.A. Benign Hematology 03/16/2015 1.00 N.A. Everything Has Changed: New Prevention & Management Recommendations in Primary Care 03/14/2015 4.75 N.A. Everything Has Changed: New Prevention & Management Recommendations in Primary Care 03/13/2015 4.75 N.A. Updates on Hypertension Management and Cholesterol Guidelines 03/12/2015 2.00 N.A. Pharmacy Law Update 03/12/2015 2.00 N.A. Omega-3 Fatty Acids for Prevention and Treatment of Cardiovascular Disease 03/11/2015 0.75 N.A. Recurrent Colstridium difficile infections: treatment evidence and cost considerations 03/11/2015 0.75 N.A. One size doesn't fit all: Oral Anticoagulants in Patients with Abnormal Pharmacokinetic Parameters 03/11/2015 0.75 N.A. Seizing the Opportunity: Identifying, Preventing, and Treating Opportunistic Infections in HIV-Infected Patients 03/10/2015 1.00 N.A. Prostate Cancer 03/09/2015 1.00 N.A. Obesity Conference 2015 03/06/2015 7.00 N.A. Ramelteon for prevention of delirium in elderly patients 03/06/2015 0.75 N.A. 2015 Chronic Care Meeting 03/04/2015 15.00 N.A. Updates in Cardiometabolic Pharmacotherapy for Older Adults 03/02/2015 2.50 N.A. Certification Prep Course for Certified Diabetes Educators (CDE) 02/19/2015 15.00 N.A. Update on HIV and HCV Infections 02/13/2015 2.00 N.A. Bugs Vs. Drugs: The Continuing Challenge of Antibiotic Resistance 02/13/2015 2.00 N.A. Women's Health Conference 02/13/2015 7.00 N.A. Addresing Low Health Literacy in Pharmacy Practice 02/10/2015 2.00 N.A. Lung Cancer 02/09/2015 1.00 N.A. 4th Annual Cardiovascular Symposium 02/06/2015 6.00 N.A. UNC Hospital Series - January 30, 2015 01/30/2015 1.50 N.A. Weight Loss Drugs: What's the Skinny? 01/27/2015 1.00 N.A. Everyday Emergencies 01/25/2015 7.00 N.A. UNC Hospital Series 1-23-2015 01/23/2015 1.50 N.A. It's Not Easy Being Queasy: Current Evidence for the Optimal Prevention and Treatment of Chemotherapy - Induced Nausea and Vomiting 01/20/2015 1.00 N.A. Translational Pharmacology of Anti-body Drug Conjuglates 01/14/2015 0.75 N.A. the Disease that does not discriminate: treatment of HIV infection in special patient populations 01/13/2015 1.00 N.A. Colorectal Cancers 01/12/2015 1.00 N.A.